Dayton's newest brew spot has never been just about the beer. That's the word from Steve Barnhart of Lock 27 Brewing Company, which opened last Friday at 1035 South Main Street in Centerville. Dayton's newest brew spot has never been just about the beer. That's the word from Steve Barnhart of Lock 27 Brewing Company, which opened last Friday at 1035 South Main Street in Centerville. Just before the spot opened its doors, Barnhart gave me, Lisa Seibert, and a group of other Dayton lovers a sampling of what he and his business is all about. And it's quite a business. Barnhart's been a home brewer himself for over 15 years, and while he's got to wait a few weeks before the first batch of his creations can be purchased, we got a sample of the kind of food he's got in mind, and the kind of atmosphere he's building at Lock 27. The brews will be inspired by the European styles he's learned in his travels, Barnhart told me, adding that he wanted to make the place somewhere you could go to try something new. What's more, he has an emphasis on making sure it's a good time for everyone, and will be debuting some wines for newbies to try. In the meantime, Barnhart gave us a sampling of a variety of distinct microbrews while we tried the cuisine. The small Panini-type sandwiches will be a staple of the menu; the food will accompany the beer, not overpower it, so this should be the kind of place where you can have a light meal, not a giant feast. I sampled the Caprese (right), an Italian-style sandwich with mozzarella, basil, roma tomatoes and balsamic reduction. I also tried the Little Havana (left), a nice take on the Cuban sandwich which is topped with a little ham, pulled pork, pickles, and a spicy garlic mustard. It's really about savoring the food, and I have been told there will be some beer pairings to go with the food too, which will really make the place shine. It's a real leg up for this particular address with its elaborate curved front door and patio, which housed a little coffee shop that was an early victim of the Great Recession. I've been waiting to see something come back to the space, something that really brought some culture back to that spot. There are 311,694 independent restaurants in America. 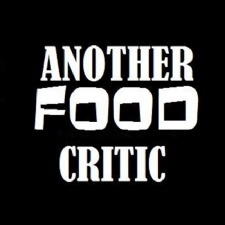 Another Food Critic is here to find which ones are the best. Provider of small batch, artisan craft beer. We believe in quality over quantity. Adventure over refrain. And exploration of the world beyond our boundaries.